Bring a little festive cheer with a bespoke Christmas card or seasonal card! Nothing says “I just don’t care” like a Christmas email! 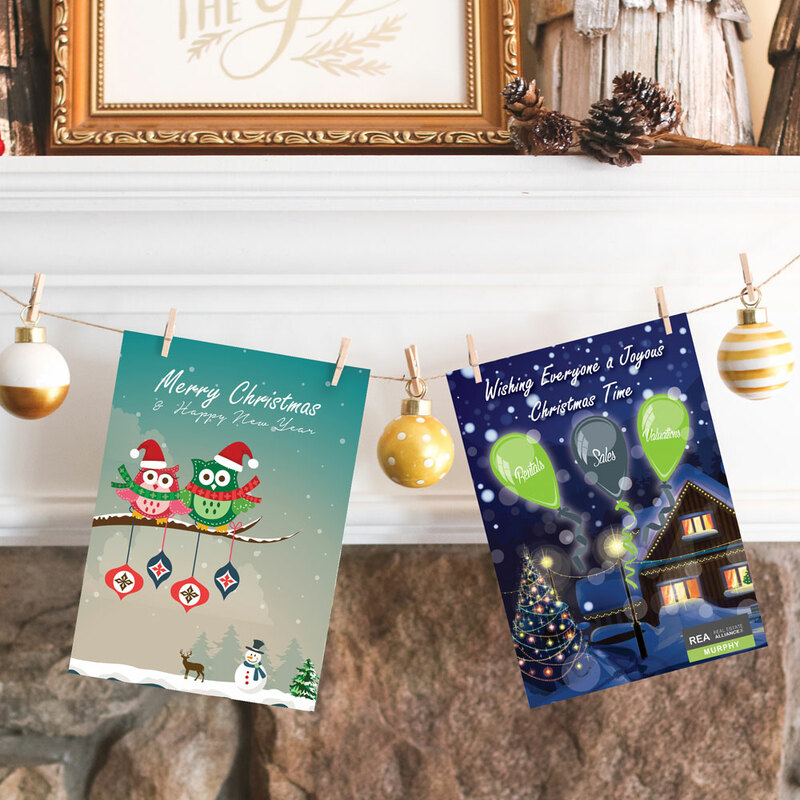 Let your clients know that you really do value them with a beautiful, unique Christmas card, on which you can hand write an individual message. Use the card to highlight a facet of your product or service, to reinforce your brand identity, or choose a festive or seasonal scene. It’s a great opportunity to resend your business card, or to highlight a New Year sale or promotion. Let us take care of design and wording. We can also provide plain or personalised envelopes, (LINK) if needed, at very competitive rates. Perhaps you have another occasion to send greetings cards; St Patrick’s Day, birthdays, Mother’s Day or Father’s Day … Punctual Print can create a card for any occasion in a range of sizes and paper-qualities to suit your budget. companies like us look for when we are asking your for artwork, enjoy! Happy designing. Click on the ‘Templates’ tab just above and layout your design on one of these files or else use it for reference.Just follow these simple rules before you send us your artwork, and before you ask or send us your Word® files, we’d like to say ‘No that isn’t artwork’.